Ceramic provides best diffusing effect. CO2 cartridge no refill problem. 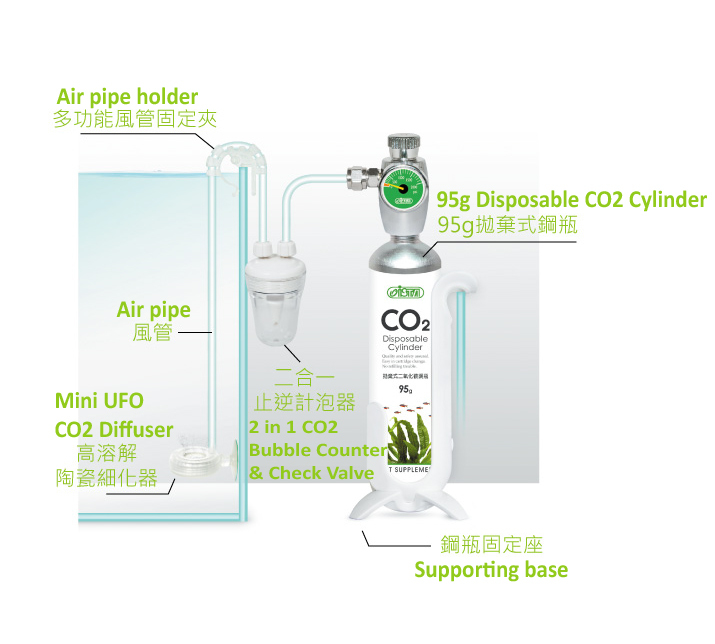 Precisely adjust CO2 flow rate and unique design of the regulator. Selected ceramic assures the best diffusing effect, easy for ceramic replacement. Check valve & bubble counter made of acrylic material provides clear of bubble reading and acid resistance. stainless spring design provides most reliable function of stopping back flow.